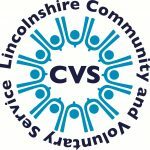 The huge variety of volunteering opportunities in Lincolnshire includes roles supporting people with ill health, with the county’s police, as drivers and so much more. LCVS is delighted to have helped local groups in East Lindsey, Boston and South Holland secure grant Round 4 funding from Ørsted’s East Coast Community Fund (ECCF). The successful groups are among 18 that received funding, which is awarded every six months to groups in coastal areas of Lincolnshire, Norfolk and Yorkshire. Round 4 awards to individual groups ranged from £1,280 and £30,000.